Adventure Boot Camp is a fun and invigorating outdoor exercise programme for women. No day is the same and ladies get a full body workout in a beautiful environment, enabling them to achieve their fitness and weight loss goals that much easier. 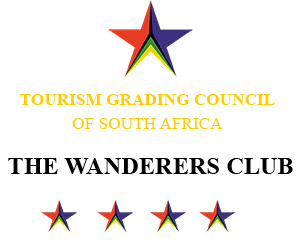 Camp takes place for an hour a day, in the morning or early evening, with the option of attending 12 or 20 sessions (3 or 5 days a week) over four weeks. There are camps on almost every doorstep nationwide and each camp is run by highly qualified and passionate fitness trainers, year round. 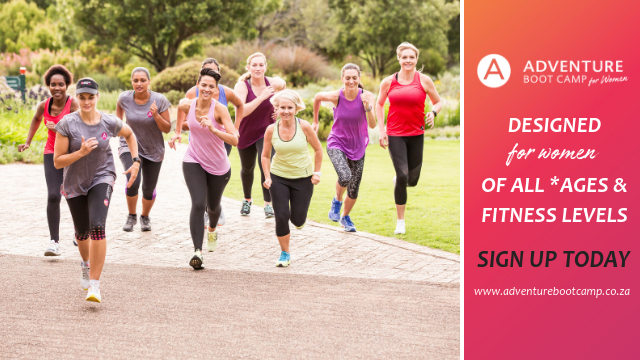 Our mission is to inspire and motivate all women throughout South Africa by providing a fun and innovative alternative to conventional exercise programmes, along with encouragement and useful information, so that they are able to create positive changes within themselves – both physically and mentally. 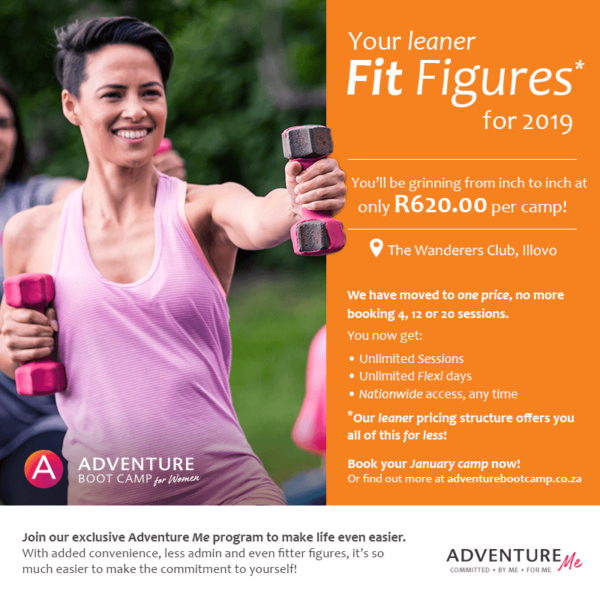 Adventure Boot Camp is a fun and invigorating outdoor exercise programme for women of all fitness levels. 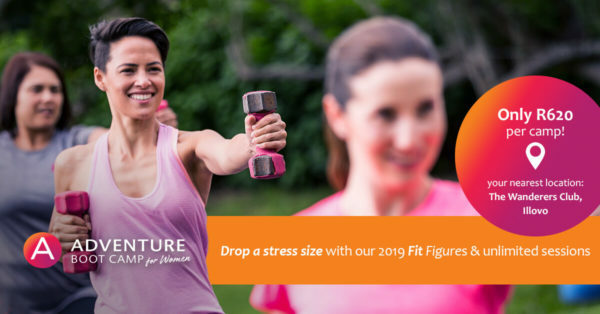 No monotonous routine or sweaty gym equipment, in beautiful outdoor environments, and a group of women all striving to achieve a healthier lifestyle.